Facts: The respondent-a Private Limited Company filed its return of income for Assessment year 2001-02 on 30th October, 2001 declaring total loss of Rs.2,70,85,105/-. The said return was processed under Section 143(1) of the Income Tax Act, 1961 accepting the loss returned by the respondent. Notice under Section 148 of the Act was issued on the ground that claim of bad debts as expenditure was not acceptable. On 12th May, 2004 a return of income declaring the loss at the same figure, as declared in the original return, was filed by the respondent under protest. Copy of the reasons recorded was furnished by the appellant on the respondents request some time in November, 2004. The respondent raised various objections, both on jurisdiction and merits of the subject matter recorded in the reasons. On 4th February, 2005 the appellant disposed of the objections holding that the initiation of reassessment proceedings was valid and he had jurisdiction to undertake such an exercise. The High Court allowed the writ petition following the decision of the High Court in Adani Exports v. Deputy Commissioner of Income Tax (Assessment) (1999) 240 ITR 224. Discussion: Substantial changes have been made to section 143(1) with effect from June 1, 1999. Up to March 31, 1989, after a return of income was filed the Assessing Officer could make an assessment under section 143(1) without requiring the presence of the assessee or the production by him of any evidence in support of the return. Where the assessee objected to such an assessment or where the officer was of the opinion that the assessment was incorrect or incomplete or the officer did not complete the assessment under section 143(1), but wanted to make an inquiry, a notice under section 143(2) was required to be issued to the assessee requiring him to produce evidence in support of his return. After considering the material and evidence produced and after making necessary inquiries, the officer had power to make assessment under section 143(3). With effect from April 1, 1989, the provisions underwent substantial and material changes. A new scheme was introduced and the new substituted section 143(1) prior to the subsequent substitution with effect from June 1, 1999, in clause (a), a provision was made that where a return was filed under section 139 or in response to a notice under section 142(1), and any tax or refund was found due on the basis of such return after adjustment of tax deducted at source, any advance tax or any amount paid otherwise by way of tax or interest, an intimation was to be sent without prejudice to the provisions of section 143(2) to the assessee specifying the sum so payable and such intimation was deemed to be a notice of demand issued under section 156. The first proviso to section 143(1)(a) allowed the Department to make certain adjustments in the income or loss declared in the return. errors in the return, accounts or documents accompanying the return, (ii) loss carried forward, deduction allowance or relief, which was prima facie admissible on the basis of information available in the return but not claimed in the return and similarly (iii) those claims which were on the basis of the information available in the return, prima facie inadmissible, were to be rectified/allowed/disallowed. What was permissible was correction of errors apparent on the basis of the documents accompanying the return. The Assessing Officer had no authority to make adjustments or adjudicate upon any debatable issues. In other words, the Assessing Officer had no power to go behind the return, accounts or documents, either in allowing or in disallowing deductions, allowance or relief. Intimation under section 143(1)(a) is given without prejudice to the provisions of section 143(2). Though technically the intimation issued was deemed to be a demand notice issued under section 156, that did not per se preclude the right of the Assessing Officer to proceed under section 143(2). That right is preserved and is not taken away. Between the period from April 1, 1989 to March 31, 1998, the second proviso to section 143(1)(a), required that where adjustments were made under the first proviso to section 143(1)(a), an intimation had to be sent to the assessee notwithstanding that no tax or refund was due from him after making such adjustments. With effect from April 1, 1998, the second proviso to section 143(1)(a) was substituted by the Finance Act, 1997, which was operative till June 1, 1999. The requirement was that an intimation was to be sent to the assessee whether or not any adjustment had been made under the first proviso to section 143(1) and notwithstanding that no tax or interest was found due from the assessee concerned. Between April 1, 1998 and May 31, 1999, sending of an intimation under section 143(1)(a) was mandatory. Thus, the legislative intent is very clear from the use of the word intimation as substituted for assessment that two different concepts emerged. While making an assessment, the Assessing Officer is free to make any addition after grant of opportunity to the assessee. By making adjustments under the first proviso to section 143(1)(a), no addition which is impermissible by the information given in the return could be made by the Assessing Officer. The reason is that under section 143(1)(a) no opportunity is granted to the assessee and the Assessing Officer proceeds on his opinion on the basis of the return filed by the assessee. The very fact that no opportunity of being heard is given under section 143(1)(a) indicates that the Assessing Officer has to proceed accepting the return and making the permissible adjustments only. As a result of insertion of the Explanation to section 143 by the Finance (No. 2) Act of 1991 with effect from October 1, 1991, and subsequently with effect from June 1, 1994, by the Finance Act, 1994, and ultimately omitted with effect from June 1, 1999, by the Explanation as introduced by the Finance (No. 2) Act of 1991 an intimation sent to the assessee under section 143(1)(a) was deemed to be an order for the purposes of section 246 between June 1, 1994, to May 31, 1999, and under section 264 between October 1, 1991, and May 31, 1999. It is to be noted that the expressions intimation and assessment order have been used at different places. The contextual difference between the two expressions has to be understood in the context the expressions are used. Assessment is used as meaning sometimes the computation of income, sometimes the determination of the amount of tax payable and sometimes the whole procedure laid down in the Act for imposing liability upon the tax payer. In the scheme of things, as noted above, the intimation under section 143(1)(a) cannot be treated to be an order of assessment. The distinction is also well brought out by the statutory provisions as they stood at different points of time. Under section 143(l)(a) as it stood prior to April 1, 1989, the Assessing Officer had to pass an assessment order if he decided to accept the return, but under the amended provision, the requirement of passing of an assessment order has been dispensed with and instead an intimation is required to be sent. Under the first proviso to the newly substituted section 143(1), with effect from June 1, 1999, except as provided in the provision itself, the acknowledgment of the return shall be deemed to be an intimation under section 143(1) where (a) either no sum is payable by the assessee, or (b) no refund is due to him. It is significant that the acknowledgment is not done by any Assessing Officer, but mostly by ministerial staff. Can it be said that any assessment is done by them? The reply is an emphatic no. The intimation under section 143(1)(a) was deemed to be a notice of demand under section 156, for the apparent purpose of making machinery provisions relating to recovery of tax applicable. By such application only recovery indicated to be payable in the intimation became permissible. And nothing more can be inferred from the deeming provision. Therefore, there being no assessment under section 143(1)(a), the question of change of opinion, as contended, does not arise. Additionally, section 148 as presently stands is differently couched in language from what was earlier the position. Section 147 authorises and permits the Assessing Officer to assess or reassess income chargeable to tax if he has reason to believe that income for any assessment year has escaped assessment. The word reason in the phrase reason to believe would mean cause or justification. If the Assessing Officer has cause or justification to know or suppose that income had escaped assessment, it can be said to have reason to believe that an income had escaped assessment. The expression cannot be read to mean that the Assessing Officer should have finally ascertained the fact by legal evidence or conclusion. The function of the Assessing Officer is to administer the statute with solicitude for the public exchequer with an inbuilt idea of fairness to taxpayers. 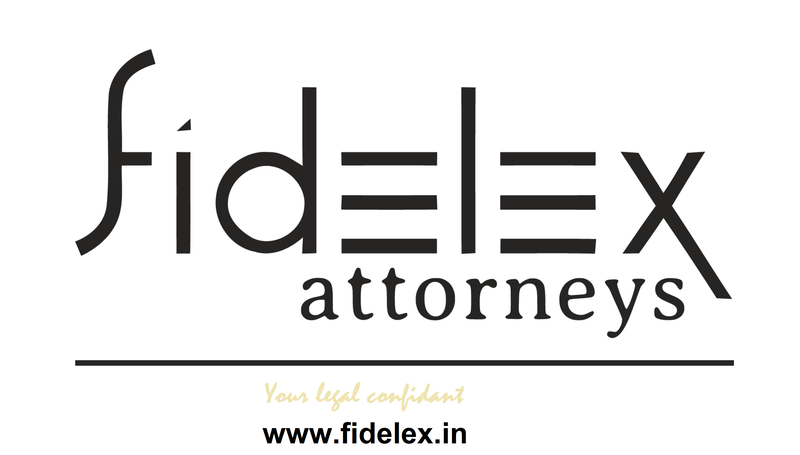 For initiation of action under section 147(a) (as the provision stood at the relevant time) fulfillment of the two requisite conditions in that regard is essential. At that stage, the final outcome of the proceeding is not relevant. In other words, at the initiation stage, what is required is reason to believe, but not the established fact of escapement of income. falls within the ambit of the proviso to section 147. The case at hand is covered by the main provision and not the proviso. 147 and failure to take steps under section 143(3) will not render the Assessing Officer powerless to initiate reassessment proceedings even when intimation under section 143(1) had been issued. Held: High Court has wrongly applied Adanis case which has no application to the case on the facts in view of the conceptual difference between Section 143(1) and Section 143(3) of the Act. This entry was posted in Taxation and tagged Section 143. Bookmark the permalink.